MINNEAPOLIS – With the NCAA now providing money for travel expenses for players’ families, many players have a large amount of support at the Final Four. For Virginia’s Braxton Key, that cheering section was a little smaller on Saturday than you might expect. Key’s brother Austin tied the knot Saturday at 4 p.m. ET in Charlotte. That left a little more than two hours before the Hoos tipped off against Auburn in Minneapolis. 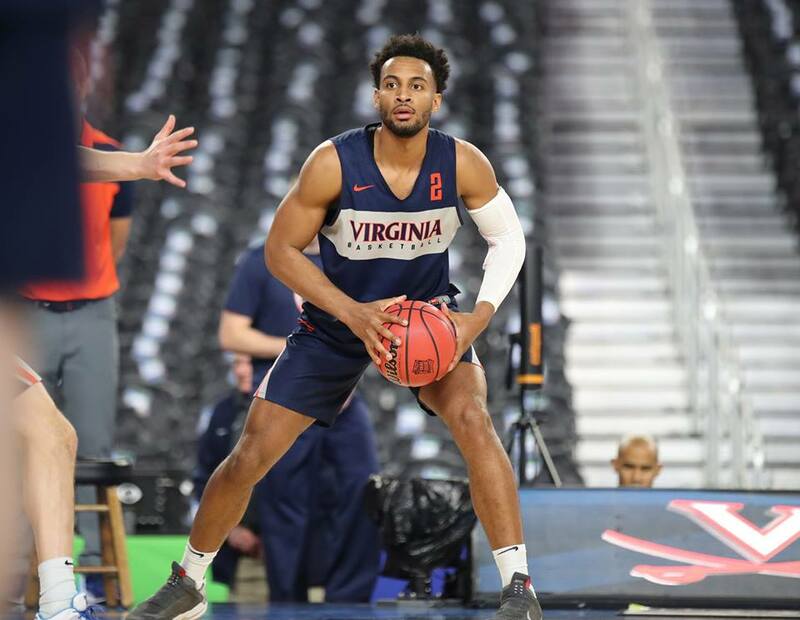 The wedding date, Braxton Key said, was decided before his transfer waiver was cleared by the NCAA so the family wasn’t even sure if he’d be eligible for the Cavaliers this season. Don’t worry, the game was on at the reception. Nothing crazy happened like the crowd-surfing bride on the Corner in Charlottesville last week, though. Key hadn’t heard about that celebration when the Hoos earned their spot in the Final Four. Virginia’s Kyle Guy cemented his status as a Wahoo legend on Saturday night when he buried three free throws in the final second to lift UVA to a 63-62 win. That pushed Virginia into its first title game in program history. Bennett, who played at Wisconsin Green Bay and professionally,was asked about the most high pressure free throws he took in his career during media questions Sunday. Bennett shared an anecdote about a pair he took in college while playing for his father. The players still are adjusting to the spotlight that comes with the Final Four. For the two teams playing in Monday’s National Championship Game, there have now been three full media days from Thursday, Friday, and Sunday with jam-packed locker rooms, breakout sessions for the starters, and promotional work for the networks. That says nothing of the 72,711 fans who watched Saturday’s games at U.S. Bank Stadium. For two of UVA’s international players, the focus on the Final Four has been amazing. Jack Salt was asked if it compared to the popular All Blacks rugby team in New Zealand, while Kody Stattman said Australian Football is the only thing really comparable back home. “Those guys are big-time celebrities back home so they go through this all the time and that’s crazy,” Salt said.